Rule One: You must write. Rule Two: You must finish what you start. Rule Three: You must refrain from rewriting, except to editorial order. Rule Four: You must put it on the market. I’d like to offer my commentary on this list. Pretty self-evident. You can’t sell what you don’t produce. The writers of Heinlein’s era all had quotas. Pulp writers like W. T. Ballard and Erle Stanley Gardner wrote a million words or more a year. Fred Faust (aka Max Brand) wrote four thousand words a day, every day. They did so because they were getting a penny or two a word, and they needed to put food on the table. I always advise writers to figure out how many words they can comfortably write in a week, considering their other obligations. Now up that number by 10% and make that the goal. Revise the number every year. Keep track of your words on a spreadsheet. I can tell you how many words I’ve written per day, per week, per year since the year 2000. I remember when I finished my first (unpublished, and it shall stay unpublished) novel. I was still trying to figure out this craft of ours and knew I had a long way to go. But I learned a whole lot just from the act of finishing. It also felt good, and motivated me to keep going. 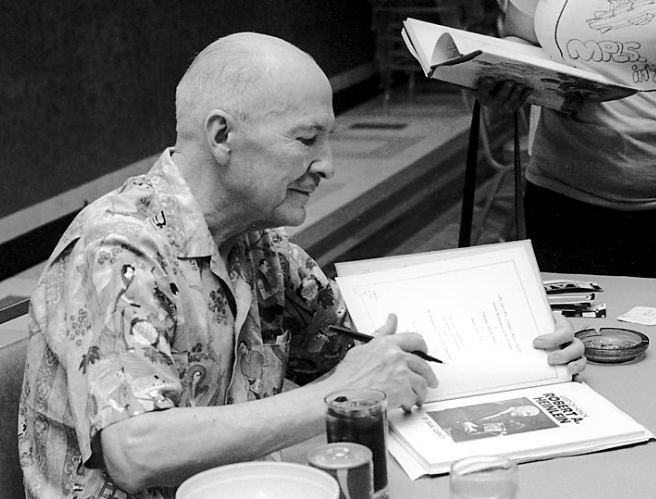 Heinlein was primarily thinking about short stories here, so the act of finishing was an easier task. With a novel, there’s always a moment when you think it stinks. When you wonder if you should keep going for another 50k words. Fight through it and finish the dang thing. Nothing is wasted. At the very least you’ll become a stronger writer. Should a project ever be abandoned? If you’ve done sufficient planning and have the right foundation, I’d say no. If you’re a pantser … well, the temptation to set something aside is more pronounced. But you chose to be a panster, so deal with it. This is a bad rule if taken at face value. Again, Heinlein was thinking about the short story market. With novel-length fiction, the old saw still applies: Writing is re-writing. I’ve heard a certain #1 bestselling writer state that he only does one draft and that’s it. Upon closer examination, however, that writer is revising pages daily as he goes, so it comes out to the same thing—re-writing. For all writers, a skilled editor or reliable beta readers give us an all-important extra set of eyes. Don’t skip this step. There’s always something you need to fix! Which, for Heinlein, meant sending the story out to the pulp or slick magazines. Or, in the case of a novel, to the authorities within the Forbidden City of traditional publishing. Today, of course, we have one major advantage Heinlein did not: self-publishing. But that option does not mean you don’t need to go through the grinder of making a manuscript the best it can be. Again, this was about the old world of magazines. When a manuscript came back, rejected, you got another envelope and sent it out again. The pages could get pretty scuffed up that way. Today, the big questions for the writer are: a) should I seek traditional publishing, or self-publish? b) if traditional, how many rejections should I endure before publishing on my own? and c) if going indie, how do I know my book is ready? That’s my own rule. I’ve seen too many beginning writers labor for years over a single story or novel. As soon as you’ve finished one piece, start on another. Don’t wait for the first story to come back from the editor you’ve submitted it to; get to work on your next project. (And if you find you’re experiencing writer’s block on your current project, begin writing something new — a real writer can always write something.) You must produce a body of work to count yourself as a real working pro. So what do you think of Heinlein’s rules (and Sawyer’s addendum)? What else would you add? Just like the fish in the sea! In short, we don’t like to hear the word rules. Don’t fence me in! Give me land, lots of land! Rules? We don’t need no stinking rules! And yet, and yet … there are some things that are fundamental to storytelling and the fiction craft, so called because, guess what, THEY WORK! They help a writer weave a story that readers can actually relate to and get lost in. Imagine that! Yeah, but So-and-so breaks the rules and writes bestsellers! Sure, and how many So-and-sos are there? And maybe, just maybe, So-and-so compensates for the “rule breaking” by doing something absolutely astonishing somewhere else. Maybe So-and-so knows exactly what he’s doing when he breaks a rule. In fact, I’d say good old So-and-so is actually the exception that proves the rule! I have a rule—or, if your hackles are starting to gather for a protest––a guideline or axiom: Act first, explain later. By this I mean it is much more engaging and compelling to begin your book with an actual scene in progress, with a character in motion, than it is to lard backstory and description and exposition all over the first couple of pages. Is there an exception to this rule? Yes, one that proves it. The exception is this: a style that can enrapture you with the power of the writing alone. Almost always this is found in so-called literary fiction. The first little washes flashing like thick rushing winds through sheep sorrel and clover, ghost fern and nettle, sheering, cutting … forming branches. Then, through bearberry and salmonberry, blueberry and blackberry, the branches crashing into creeks, into streams. Finally, in the foothills, through tamarack and sugar pine, shittim bark and silver spruce––and the green and blue mosaic of Douglas fir––the actual river falls five hundred feet … and look: opens out upon the fields. Metallic and first, seen from the highway down through the trees, like an aluminum rainbow, like a slice of alloy moon. Closer, becoming organic, a vast smile of water with broken and rotting pilings jagged along both gums, foam clinging to the lips. Closer still, it flattens into a river, flat as a street, cement-gray with a texture of rain. Flat as a rain-textured street even during flood season because of a channel so deep and a bed so smooth: no shallows to set up buckwater rapids, no rocks to rile the surface … nothing to indicate movement except the swirling clots of yellow foam skimming seaward with the wind, and the thrusting groves of flooded bam, bend taut and trembling by the pull of silent, dark momentum. A river smooth and seeming calm, hiding the cruel file-edge of its current beneath a smooth and calm-seeming surface. Kesey reaches out with his wrestler’s arms and lifts you off the mat. It works for me. It may not for others, but that’s the point. Kesey knows exactly what he’s doing here, eschewing act first, explain later. The exception that proves the rule is a dazzling literary style. The trip by jeep from the small village near Luena to Malanje in Angola, in southwest Africa, followed by a train ride to Luanda, the capital, had taken seven hours. The drive from Luena was long and arduous due to unexploded land mines in the area, which required extreme diligence and caution to avoid as they drove. After forty years of conflict and civil war, the country was still ravaged and in desperate need of all the help outside sources could provide, which was why Ginny Carter had been there, sent by SOS Human Rights. SOS/ HR was a private foundation based in New York that sent human rights workers around the globe. Her assignments were usually two or three months long in any given location, occasionally longer. She was sent in as part of a support team, to address whatever human rights issues were being violated or in question, typically to assist women and children, or even to address the most pressing physical needs in a trouble spot somewhere, like lack of food, water, medicine, or shelter. She frequently got involved in legal issues, visiting women in prisons, interfacing with attorneys, and trying to get the women fair trials. SOS took good care of their workers and was a responsible organization, but the work was dangerous at times. She had taken an in-depth training course before they sent her into the field initially, and had been taught about everything from digging ditches and purifying water, to extensive first aid, but nothing had prepared her for what she had seen since. She had learned a great deal about man’s cruelty to man and the plight of people in undeveloped countries and emerging nations since she’d started working for SOS/HR. I will note there are superb writers in familiar genres who sometimes begin with a literary style. Michael Connelly comes to mind (e.g., the opening of The Narrows). The point, gentle writer, is that no matter what you call them––rules, guidelines, fundamentals, axioms––they survive because they work every single time. That’s what I said. 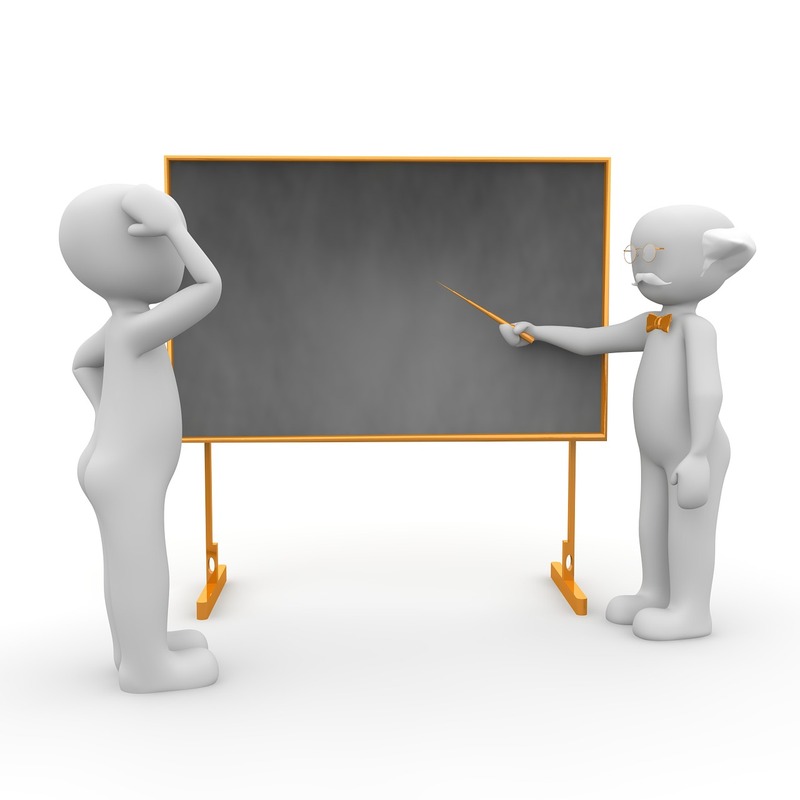 There is never a time when act first, explain later doesn’t work as an opening move. But if you want to try something different, go for it. I’m all for spreading your writing wings. Just be aware of what you’re doing and why. Because if it doesn’t work out, guess what? You can always go back to the rules! 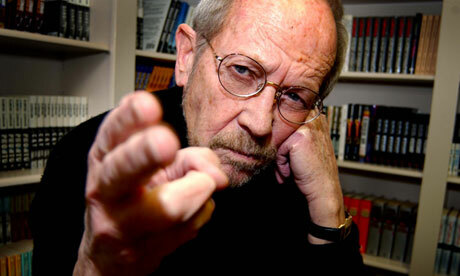 Elmore Leonard is gone. A moment of silence, she intoned gravely. If you don’t get where I am going with that opening line then you definitely need to read on – at least as far as Nos. 3 and 4 below. The rest of you can go play Spider Solitaire if you’d like, but I’d really like it if you stick around. Because today, I’d like to talk about Elmore Leonard’s Ten Rules of Writing. But do his rules hold up? Well, I think this is a good time to go back and take a look. And I’ll be the first one to admit, I have broken almost all of them. 2. Avoid prologues. They can be annoying, especially a prologue following an introduction that comes after a foreword. A prologue in a novel is backstory, and you can drop it in anywhere you want. Sigh. Broke this one, too. In my book A THOUSAND BONES, I am telling the story of Louis Kincaid’s lover, Joe Frye. The entire book is a flashback to Joe’s rookie year but I felt I had to connect it to Louis so I book-ended it with a prologue (wherein she tells Louis about a crime she committed ten years ago) AND an epilogue (wherein Louis accepts what she did). But again, I think prologues are usually unnecessary; they almost always indicate the writer is not in control of back story or the time element of their plot (linear is almost always best). Or the writer tacks on a prologue where he throws out a body to gin up suspense because the early chapters are slooooow. 3. Never use a verb other than ”said” to carry dialogue. The line of dialogue belongs to the character; the verb is the writer sticking his nose in. But said is far less intrusive than grumbled, gasped, cautioned, lied. I once noticed Mary McCarthy ending a line of dialogue with ”she asseverated,” and had to stop reading to get the dictionary. Have broken this one, too. But only with the greatest trepidation. I’ve used “shouted” and “asked.” But I’m convinced that if you feel compelled to use something stronger, that means that what you are putting between the quote marks ain’t up to snuff. Guilty again. I have used “whispered,” “shouted” and “asked.” But I always hate myself in the morning. I hate exclamation marks! But yes, I have used them. Mainly when I have someone shouting. And what’s worse, I have probably written, “Get out of here!” he shouted. 6. Never use the words ”suddenly” or ”all hell broke loose.” This rule doesn’t require an explanation. I have noticed that writers who use ”suddenly” tend to exercise less control in the application of exclamation points. I have never used “all hell…” That’s really amateur hour, akin to “little did he know that…” But yes, “suddenly” has appeared in my books. I didn’t realized what a stupid tic it was until I re-read Leonard’s rules. Suddenly, “suddenly” looks really bad in my chapters. And I now see that the action feels more immediate without it. We did this in our first book “Dark of the Moon.” Set in the deep South, we felt compelled to drop some “g’s” and use some dumb idioms, and at least one reviewer took us to task for it. Here’s the thing: Dialect is hard on the reader’s eye. You can convey the feeling of it by judicious word choice, mannerisms, and sentence rhythm. We are in the process of preparing “Moon” for eBook and this has given us a second chance to go back and rewrite things. So y’all can bet we’re fixin’ to fix our mistakes. 8. Avoid detailed descriptions of characters. Which Steinbeck covered. In Ernest Hemingway’s ”Hills Like White Elephants” what do the ”American and the girl with him” look like? ”She had taken off her hat and put it on the table.” That’s the only reference to a physical description in the story, and yet we see the couple and know them by their tones of voice, with not one adverb in sight. She had a flash of memory, of sitting next to her dad in a gymnasium during her brother’s basketball game, watching the cheerleaders. Not like them, I’m not. No. They’re easy to add up. They’re plain old arithmetic. Geometry, Joey. Not everyone gets it. 9. Don’t go into great detail describing places and things. Unless you’re Margaret Atwood and can paint scenes with language or write landscapes in the style of Jim Harrison. But even if you’re good at it, you don’t want descriptions that bring the action, the flow of the story, to a standstill. This one is hard for me because I love to write setting descriptions. But I have learned to pull back some. The best advice I ever heard on this comes from Coco Chanel who said you should put on all your accessories and then take almost all of them off before you go out. So yeah, I over-describe but then I go back and pare it down. 10. Try to leave out the part that readers tend to skip. Think of what you skip reading a novel: thick paragraphs of prose you can see have too many words in them. What the writer is doing, he’s writing, perpetrating hooptedoodle, perhaps taking another shot at the weather, or has gone into the character’s head, and the reader either knows what the guy’s thinking or doesn’t care. I’ll bet you don’t skip dialogue. Like all writers, I struggle with this one. When we’re deep in the writing zone, we can fall in love with the sound of our own voices. And sometimes, a passage will come so hard that you just can’t bring yourself to delete it. But you must kill your darlings. Lately, my sister tells me I am “underwriting,” so maybe I am pulling back too far. But I still think it’s better to leave ‘em wanting more, not less. I have nothing to add to that last one. It might be the single best piece of writing advice out there. If you’re working too hard, your reader will as well. Here’s the quote that hangs over my desk: “Easy reading is damn hard writing.” It was good enough for Nathaniel Hawthorne — and Dutch — so it’s good enough for me. I think this is about as complete a list of “rules” (even though there are no rules in a creative endeavor) as I’ve ever seen. What do you think? P.S., I learned yesterday that Damage Control made the USA Today Bestseller List. Yay!